Have You Done Something Stupid to Alienate Donors? As 2018 drew to a close, my wife and I received a few good emails from nonprofit organizations. I even highlighted one of those in a recent blog post. Unfortunately, we received far more fundraising appeals that I can only describe as stupid. The garbage email appeals simply mentioned that December 31 was fast approaching and, therefore, I should donate to that particular charity while there was still a chance to do so in 2018. Doing multiple count-down to year-end emails simply magnified the annoyance. The calendar is not a case for support! Jack Silverstein, Vice President of Financial Development at the National Capital Region YMCA-YWCA (Ottawa, Canada), shares my frustration over this. He recently posted his views in “People Know When the End of the Year Is!! !” I encourage you to read it though it does contain a word some may find offensive. Because I agree with Silverstein, I want to provide some highlights for you. Your prospects and donors know when the year ends. They don’t need you to remind them. They’re not idiots. With most charities engaged in year-end fundraising, people want to know why they should give to your nonprofit organization and why they should do so at the end of the year. The mere fact that it is year-end is not a reason. People can donate to any charity at year-end or, for that matter, at any time of year. You need to inspire them to give to your organization. In other words, you need to make a case for support. A related mistake that charities frequently made was to highlight the tax-deductibility of donations. In the USA, some have estimated that as few as 10 percent of taxpayers will itemize. It’s only that small population that might be able to take advantage of the tax-deductibility of a contribution. However, even among that population, tax benefit is a low ranking reason why people donate. Furthermore, it’s no reason whatsoever why they should donate to your organization; after all, people can get the same tax benefit by donating to any qualified charity. Will One Charity’s Surprising Year-End Email Make You Look Bad? This week, I received a surprising email from a national charitable organization. The email was so unusual that I need to tell you about it. Like you, I’m deluged by emails from charities that arrive from the days leading up to #GivingTuesday through December. Most of the messages are from nonprofit organizations that forgot about me all year except now that they want my money. Most care nothing about me. None offers to help me or be of service to me. Most of the emails are just terrible. One awful email came with the subject line, “Welcome to [I’m deleting the name of the organization].” Sounds nice enough, right? There’s just one tiny problem. I’ve been a donor for decades and even did a tour of duty as a trustee of the large organization. Ugh! Given the garbage in my email Inbox, I was a bit relieved when I received a remarkable email from the Charities Aid Foundation of America. WARNING: The email is so wonderful that it just might make you and your organization look bad. Let me explain why this email works so well. We’re now in the fourth quarter of the calendar year. It’s that special time of year when most charitable giving happens. That’s due, in part, to the fact that charities are out in force soliciting contributions as the year nears a close. Step 1 – Make a Year-End Appeal: You should test doing a beginning-of-the-year appeal in January/February since tax-avoidance is less of an issue for more people under the new tax code (see my post about this by clicking here). However, the fourth-quarter season-of-giving certainly remains the traditional time to ask for support. So, unless you have data for your organization that suggests otherwise, make sure you have a year-end appeal. The surest way to have a disastrous year-end fundraising appeal is not to have one. As you plan your appeal, be sure to segment your prospect file. Treating your prospects as one homogeneous group may make your job easier, but it won’t help you keep your job. You’ll achieve much better results if you segment your prospect pool and target each segment with a tailored appeal. For example, your message to existing donors will be different from your message to acquisition prospects. For starters, you’ll want to thank existing donors for their support before asking for another gift. Other segments might include monthly donors (You do have a monthly-donor program, right? ), volunteers, past service recipients, event participants, etc. In addition to tailoring your message to each segment, be sure to customize the ask. It’s inappropriate to ask an acquisition prospect for $1,000. Conversely, it’s also inappropriate to ask a $500 donor for $50. Just as bad, it’s a horrible mistake to not ask for a specific dollar amount or not to ask at all. Step 2 – Have a Solid Case for Support: If you want people to give money to your organization, you need to make a compelling case for support. This is particularly true at this time of year when virtually every other nonprofit organization is out there looking for donations, too. Why should people respond to your direct-mail appeal (or phone solicitation, or face-to-face ask, etc.) instead of the appeal from another organization, perhaps one with a similar mission to yours? Address that question, and you’ll have greater success. A strong case for support is particularly important when appealing to folks who have already contributed this year. They’ll want to know how you spent their money, the impact they have already had, and why you need more. Tell them those things, and you’ll increase the chance of getting another gift. In addition to having a solid case for support, you’ll want to create some urgency. Why should people give to your organization now? If you’re the Salvation Army, people automatically get why you’re asking around holiday time. For pretty much any other organization, you’ll have to give prospects a good reason. And if that reason magnifies the impact that the donor’s gift will have, so much the better. For example, you can have a challenge grant that matches all gifts received through the end of the year. Or, you could have the cost of your appeal underwritten by a major donor so you can legitimately tell prospective donors that 100 percent of their contributions to the appeal will go toward mission fulfillment. 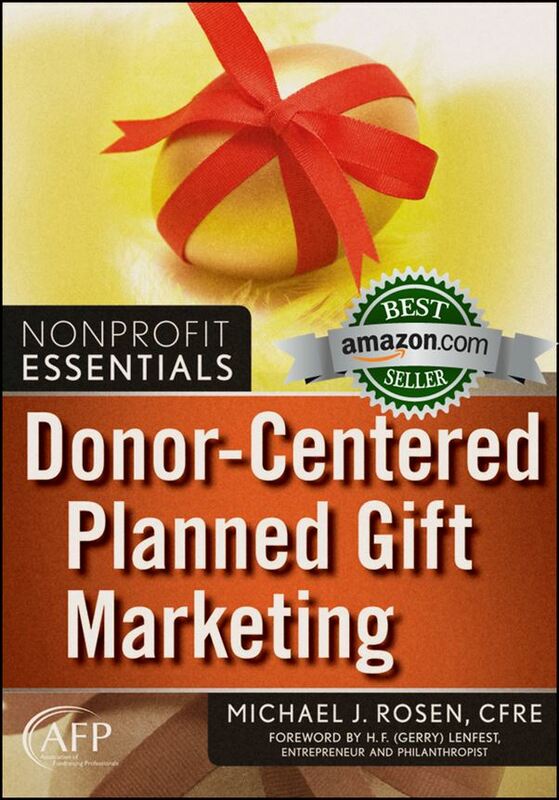 Both of these ideas will create urgency while magnifying the impact your donors can have. Surprise! You’re Most Likely Part of the Top One Percent. As you begin to make plans for year-end appeals, let’s spend a few moments considering the idea of entitlement. I’m talking about the idea that wealthy individuals and corporations should, perhaps must, “give back” simply because they have a lot of money. Do you think the top one percent income earners should pay higher taxes? Do you think they should donate more money to charity? You might feel a bit differently after I share some news with you. If you earn at least $32,400 a year (or approximately 30,250 Euros, 2 million Indian Rupees, or 223,000 Chinese Yuan), you are part of the top one percent of income earners in the world, according to a new report in Investopedia. If you’re reading this post, I’ll bet the odds are that you’re a one-percenter. Congratulations! So, as a global one-percenter, do you feel under-taxed? Do you feel cheap and that you don’t contribute enough to charities, particularly global non-governmental organizations? Should fundraising professionals in the USA and around the world expect, perhaps even demand, that you donate more? Should they shame you for not giving enough? Are charities entitled to more of your money just because you’re a one-percenter? You might think so. I do not. I believe that charities must behave ethically, provide great services, develop a meaningful case for support, and inspire people, foundations, and corporations to give. Charities must partner with donors, report to them, engage them. Simply thinking that the rich, or anyone for that matter, should do more is not going to get the job done. I want to share a bizarre story with you that would be funny if it were not true. It’s about fundraising for a wedding. It nicely illustrates my point regarding the failure of an entitlement mindset. Susan and her fiancé were childhood sweethearts. The couple worked on her family’s farm before attending community college. Then, they went to work to “become financially stable.” The couple continued working hard and eventually saved $15,000 for a wedding. Unfortunately, that wasn’t enough money for the “extravagant blow-out wedding” Susan wanted in order to properly celebrate their “fairy-tale” relationship. As year-end approaches, you are probably working feverishly to raise as much money as possible for your nonprofit organization. Unfortunately, you might be making some mistakes that could cost your charity enormous sums of potential donations. 1. Appeals by the Numbers. Many of the year-end appeals that I receive focus on numbers. Often, the number is “31,” as in December 31. Other numbers tout the volume of people served or the amount of a challenge grant. As I wrote last week, numbers can tell part of an organization’s story; however, numbers can’t tell the full story. For the most effective appeals, you will want to engage hearts and minds. While some numbers can be meaningful, telling an individual story makes your nonprofit’s work more relatable and easier to understand. Individual stories are also far more likely to engender an emotional response. The Wounded Warrior Project is a great example of what I mean. The organization could tell us how many veterans suffer from PTSD and medical issues. The charity could simply tell us how many veterans they serve each year. Instead, the Wounded Warrior Project tells the story of a single veteran. The organization’s television appeals are mini-movies that tell us of a veteran’s war experience, the problem he or she came home with, and how the Wounded Warrior Project is improving the veteran’s life. You can watch one of the organization’s television spots by clicking here. 2. Not Asking for Gifts of Stock and Other Planned Gifts. Gifts of Stock. With the stock market in record territory, many Americans own appreciated securities. By contributing stock shares to your organization, a donor can make a generous gift, realize a charitable gift deduction, and avoid capital gains tax. Gifts of Appreciated Property. As with stock, many individuals own appreciated real estate, art, and collectibles that they can donate. Your organization can either use the item for mission fulfillment (i.e., a museum can accept a work of art for its collection), or the organization can sell the item and put the cash to good use. You’ll just need to be clear with your donor about which option you intend to exercise. Gifts from Donor Advised Funds. An increasing number of Americans have established a DAF. Be sure to remind your donors that they can advise that a gift be made to your charity from their DAF account. IRA Charitable Rollover. Since the U.S. Congress has made the IRA Charitable Rollover permanent, individuals who are age 70.5 or older can donate up to $100,000 from their IRA each year without having to recognize it as income. Year-end is also a good time to ask for deferred planned gifts such as Gifts in a Will, Beneficiary Designations, and Trusts. You can read more about planned giving options by clicking here. No, the headline does not contain a typo. It’s not too late to think about your 2015 year-end giving. It’s also not too early to begin planning for your 2016 year-end appeal strategy. Let me tell you why. Herd Mentality. The fourth quarter of the calendar year is a busy time for charity appeals. The largest number of direct mail appeals is sent at that time. For phone fundraising, it is also the busiest time of year. So, since everyone else is doing it, fundraisers think they should be out there, too. #GivingTuesday helps perpetuate this mentality. It’s the Right Time. For some charities, doing a year-end campaign around the holidays is appropriate given the mission and/or history of the organization. Consider The Salvation Army and its red-kettle campaign, or the Toy-for-Tots effort geared to providing holiday presents for children. For other organizations, donors are simply accustomed to seeing and responding to a year-end appeal. Year-End is a Time of Giving. With Hanukah and Christmas falling at year-end, there is certainly a giving spirit leading into the end of the year. Charities hope to piggyback on that giving spirit. Charities Simply Must Appeal at Year-End. This relates to the first two reasons above. Fundraisers think they have to do a year-end appeal because it’s the thing to do or because the organization has always done one. Without giving it much thought, fundraisers conclude that a year-end appeal is simply something that is best practice. Despite the conventional wisdom, doing a year-end appeal might actually short-change your organization. 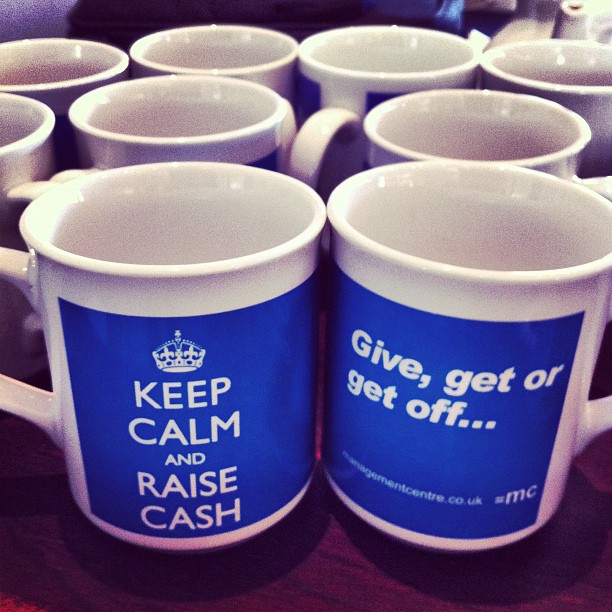 There might be a more effective way for you to raise money. I’ve worked with charities that have tested a year-end appeal against a beginning-of-the-year campaign. Many of these charities found they could raise far more money in January and February instead of at year-end. Why did those charities raise more money at the beginning of the year rather than at the end of it? The fourth quarter of the calendar year is a popular time for charities to send out fundraising appeals. As a result, nonprofit organizations raise a lot of money during the fourth quarter. In addition, many nonprofit organizations host galas in the fourth quarter. Love it or hate it, #GivingTuesday is in the midst of the holiday season. ‘Tis the season to fundraise. 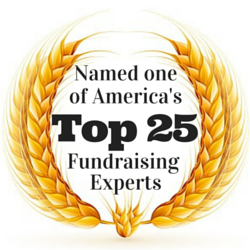 If you doubt that, just Google “year-end fundraising.” You’ll get over 20 million results! They don’t have a planned giving program. They think all planned gifts are deferred. They think that planned gifts are not time-of-year sensitive. Let’s take a moment to look at the above reasons more closely. If your charity does not have a planned giving program, it probably should, assuming you have individual donors. The effort does not need to be elaborate or fancy. The most common planned gift is the simple Charitable Bequest through the donor’s will. Since over half of all Americans own stock (Gallup, 2015), it’s very likely that some of your donors are in a position to donate appreciated securities to your organization. They just need to understand how they can benefit and what the mechanics are.